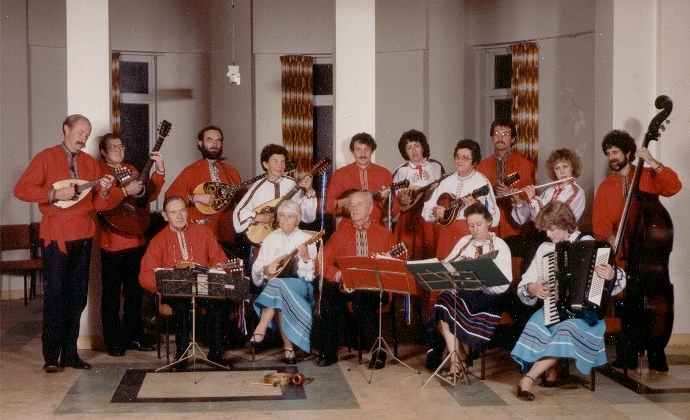 In 1974, Tzinakis Orchestra was reformed as "Balkan Folk Orchestra" to specialise in music of authentic folk traditions. On the 12th August 1974, mandolin training sessions started in the now historic 19th century Jewish Synagogue on the corner of Princes Street and Bowen Avenue, Auckland. The first rehearsal of the orchestra took place a month later on 30 September 1974. The first activity of BFO was the Musical Performers Club Concert at the Ellen Melville Hall in the Auckland City on 17th Nov 1974. On 24th Nov of the same year, BFO performed in the "Balkan Folkloric" Concert with Aegean Dancers, Diana & Yugo Quartet, Trevor Taylor and David Skinner, at the Tudor Towers, Rotorua. At the end of this particular concert, spontaneous dancing broke out by the audience and the Greek dancers - thus the idea for organising Fiestas was born. The first Fiesta took place on 21st Jun 1975 at the Torbay Community Hall in which BFO performed with "Greek Originals" dancers. Two other Fiestas were organised shortly after, the first was on 10 August 1975 at the Ponsonby Rugby Club and followed by "Midnight in Athens" Fiesta on 16 August 1975 at the Ellen Melville Hall in which "Auckland Folkloric Dancers" lead by Sylvia Vowless was also invited to participate. It was immediately obvious that the collaboration with the "Auckland Folkloric Dancers" had great potential, so an official partnership was agreed to at a meeting held at Rutherford High School in which it was unanimously agreed that both groups remain independent but collaborate in equal partnership to put on Fiestas. 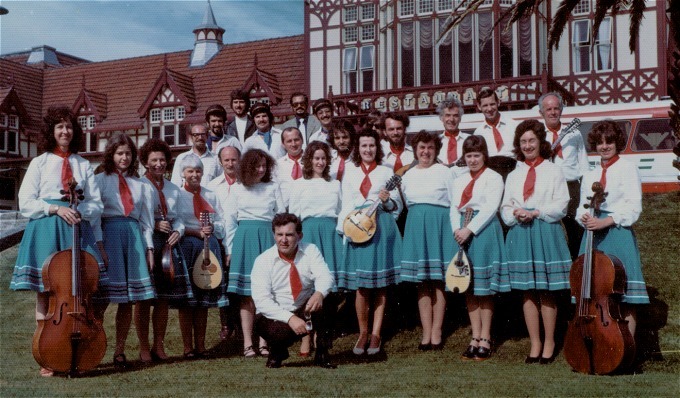 In 1977, the "Auckland Folkloric Dancers" became the "Korobushka Folkdance Company". BFO celebrated its 5th Anniversary on 17 Sep 1979 at a party hosted by Ted and Sandy Smiths in Glen Eden. 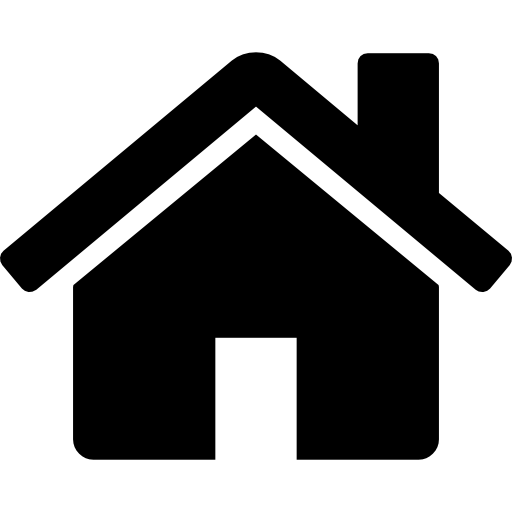 Members of the BFO during its first five years were Gene Blazer, Shona Caughey, Alan Kingsley-Smith, Bill Hines, Bob Nipper, Bonnie Malpas, Ted Smith, Joanne Hesketh, Roslyn Kingsley-Smith, Henny Kooger, Lynne Cottrell, Sef Truijens, Bruce Berendt, Bob and Rosemary Savigny, Mary Crutchley, John Speer, Hilary Noall, Sally Foster, Amanda Hollins, Hartley Joel, Robin Worley, Fiona Stewart, Diana Mazuran, Gabrielle Blazer, Trevor Taylor, Bryan Holden, Bryan Wallis, Judith Lincoln, Milene Ziebe, Lance Lincoln, Alex Wiltshire, Neddie Bruce, Robin Hayden, Patricia Dean, Margaret Trevethwick, Sylvia Cooper, Richard Dean, Ray Gunter, Gerry Kuipers, Steve Payne, Zdenek Knecht, Ken Collis, Wally, Niel Dunningham, Merv Orr, and singers David Skinner, Lenko Luksic, Jovan Lozica, Ivica Dubokovic, Carla van de Lisdonk, Pavane. 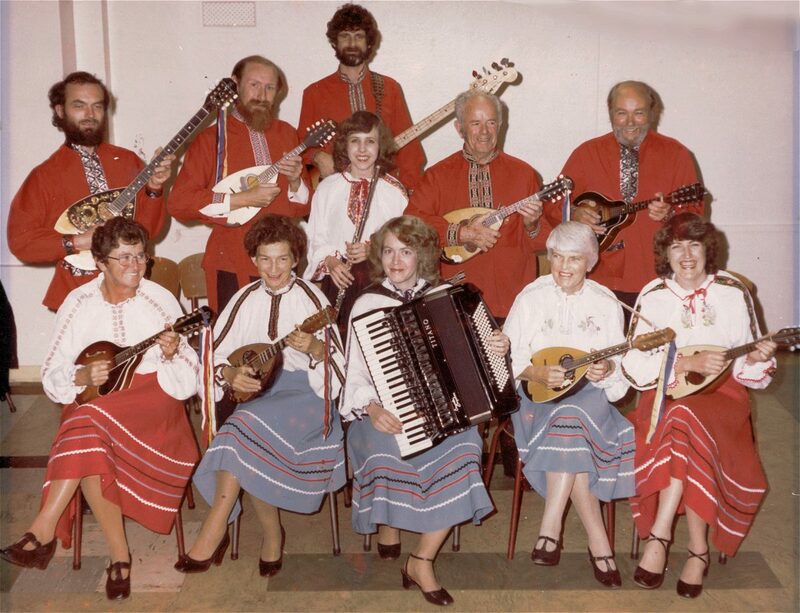 In the first half of 1980, BFO was at the heights of achievement having done a number of successful concerts with the Korobushka dancers at the Auckland Town Hall and other venues. However, the later half of 1980 saw a series of changes in direction for BFO. In 1981, Gene took a year leave of absence from the orchestra and Bryan Holden took over leadership. On 23 Feb 1981, the directors of Korobushka Dance Company proposed to acquire BFO, but the orchestra officially declined the offer although expressed their wishes to continue the partnership. However, a letter was later received from the Korobushka Dance Company on 16 March 1981 advising the end of the partnership. In 1982 BFO made two recordings, i.e. "At the Well" for Natalie, the Ukrainian Folk Dancer in Sydney, Australia, and also "Silent Night" for Shona's radio programme. In 1986 and again in 1989 the BFO recorded on National Radio the first performances of two songs written by Willow Macky "Peace to the world" and (on Easter Day) "Kristos anesti". 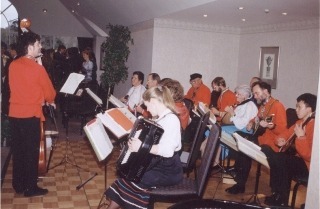 Shona orchestrated one of the songs, which was broadcasted on the Easter Day, 26 March 1989. Gene came back in 1983 only for a year and coinciding with his return, the orchestra started collaborating with the Ruritarian Folkdance group and once again presented music and dance performances to the audience. This successful collaboration continued for the next 5 years. 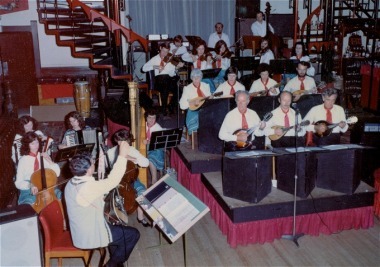 Gene was made an honorary life associate member of the orchestra after his resignation the following year, but he continued to perform with the orchestra from time to time. In Feb 1984, Bryan Holden was officially elected Musical Director for the orchestra and Shona Caughey appointed secretary. Between 1987 and 2000, the activities of BFO decreased dramatically during which time Gene also emigrated to Australia. 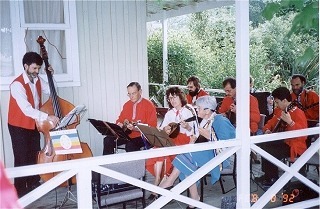 Bryan continued to lead the orchestra through sparse years with the annual performances at the Eden Garden on Omana Avenue in Epsom, Auckland and one or two playouts in between. By this time, most of the players had joined the Mandolinata Orchestra.